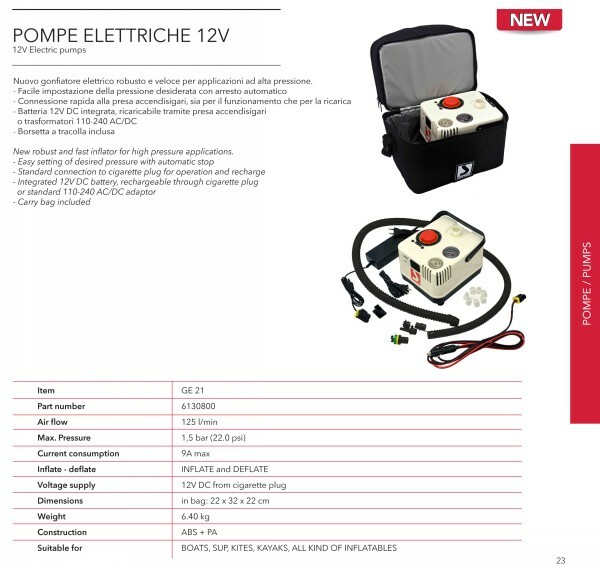 New robust and compact design, fast inflator for high pressure applications. Self contained and completely portable, high efficiency low noise electric inflator. 1m long Hose with Bayonet connector and different spacers to fit most common SUP valves+ selection of plain plugs to fit the most common valves used in other craft.